Home / News / Events / SLOVENIAN VICTORY! Fantastic performance of the Slovenian team in Holmenkollen, Oslo. Prevc brothers, Robert Kranjec and Jurij Tepes won the World Cup with with 977.7 pts. Domen (126m) and Peter Prevc (130m) led the Slovenian team to win over Norway which came second and Japan which was third. 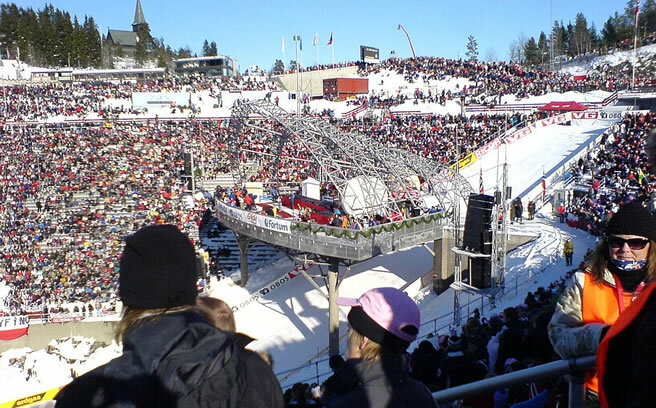 Robert Kranjec and Jurij Tepes did well and their longest jumps were 127m and 126m respectively.